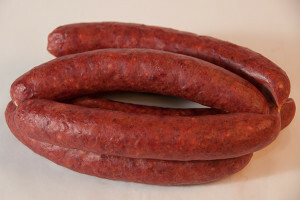 A sausage using a mixture of beef and pork blended with our patented spice mixture, smoked to perfection. Perfect for grilling. 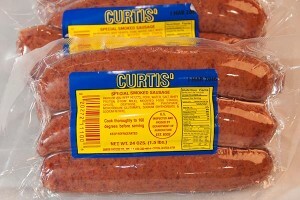 These sausages are made with select cuts of meat, ground and seasoned with a mild southern spice. They are stuffed in a red natural casing.